Presented are some simple and useful methods for cause and effect analysis. Use them to analyze reasons and boost problem solving. 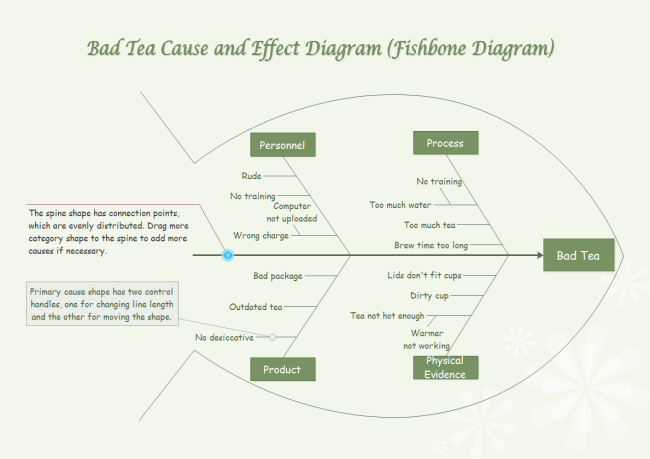 There are many ways to carry out cause and effect analysis. Here are 3 simple but effective methods: 5W1H, 6M and 8P method. By exploring the causes of a problem from categorized perspectives, solutions can be found out faster. 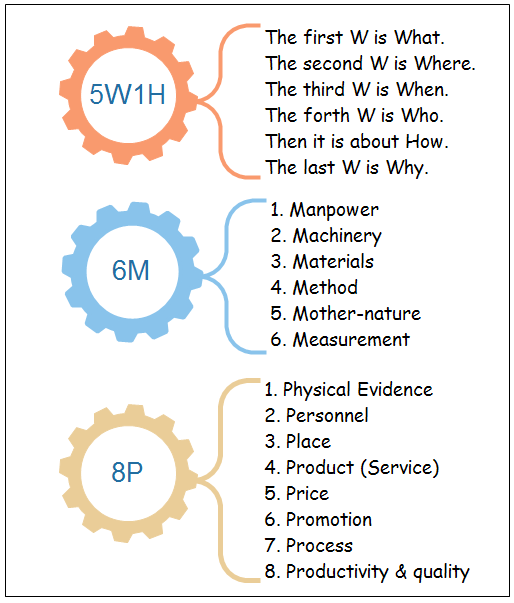 The simple 5W1H method (what, where, when, who, how and why) is commonly used in many areas and can also be utilized to ease the cause and effect analysis. See how to apply this method in the following table. By dividing the reasons into 6 parts,6M method is also very effective. 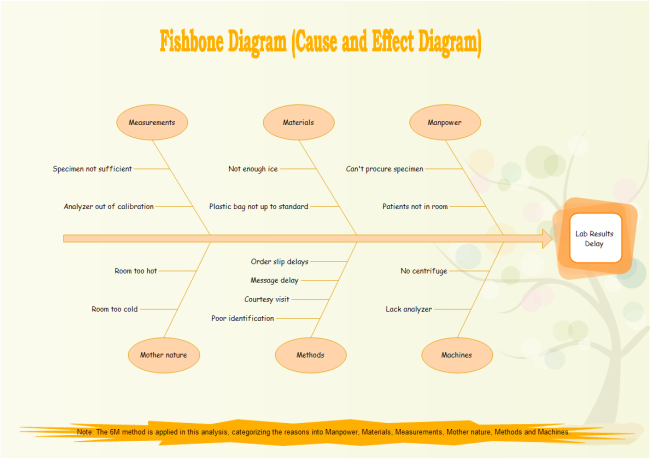 To illustrate this method better, here is a cause and effect diagram created by Edraw fishbone diagram maker. By grouping causes logically, the diagram looks neat and clear, which is very suitable for presenting the analysis result. A business problem's causes can be analyzed from the following perspectives: Physical Evidence, Personnel, Place, Product (Service), Price, Promotion, Process, and Productivity & quality. When you carry out the problem analysis, maybe only some of these 8 factors are involved. See an example below. To sum up, you can take advantage of more useful techniques to improve your cause and effect analysis. If used properly, the 5W1H, 6M and 8P methods will be of great help for problem solving.